If you have historic pictures from the "Golden Era" of Peabody, please send them to the webmaster.. 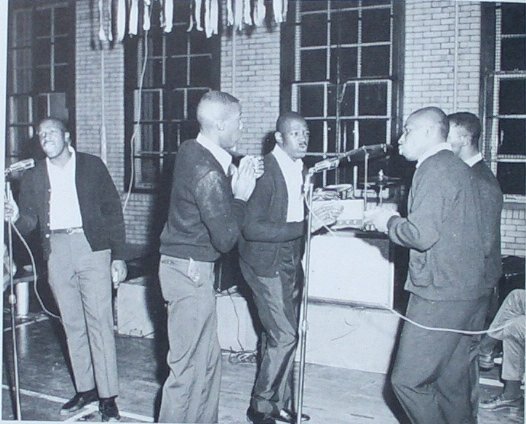 In the first decade of the 20th century, Pittsburgh high school students had the opportunity to attend one of the three high schools in the city: Central, Fifth Avenue, or South Side. A new high school, centered in East Liberty, was badly needed. 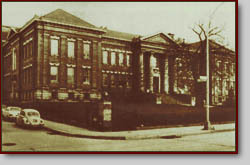 The old Margaretta Grammar School was offered to the Central Board by the HiLand Sub-District for use as a high school, and in 1911, Peabody became the first district high school where children from East Liberty could attend school. The 600 children in attendance included the students from the two smaller Central High School branches, Osceola and Lincoln. The new high school wa named in honor of Dr. Benjamin H. Peabody, a local physican who served as a surgeon in the Union Army before coming to Pittsburgh in 1870. Dr. Peabody made his home in the 800 block of North Highland Avenue, three blocks from the school. In addition to practicing medicine in East Liberty until his death in 1910, Dr. Peabody was a member of the Hiland Subdistrict School Board and served as Secretary of the Board for many years. Dr. Peabody was known and respected as a school director who gave much of his time and effort in education. A year after his death, the former Margarretta Elementary School, which was built in 1902, was remodeled and expanded to house Peabody High School. Over the years, Peabody met the needs of a growing student population and underwent two major renovations, one in 1925 and another in 1975. With the 1975 renovation, both the interior and exterior appearance of the school were completely transformed; there is little evidence of the original structure. Nonetheless, the heart and spirit of Peabody remains strong. Today, the facility houses approximately 900 students from the communities of the East End of Pittsburgh including East Liberty, Larimer, Highland Park, Friendship, Bloomfield, Garfield, Lawrenceville, Shadyside, Stanton Heights and Morningside.